LT Steven A. Ballaban was born in New York. He received his BA in English Literature from Vassar College in 1981. He continued his studies at the Hebrew Union College-Jewish Institute of Religion in Cincinnati, Ohio and received his Masters of Hebrew Letters in 1985 and his rabbinical ordination in June, 1986. In 1989 he returned to Cincinnati, and earned a Masters of Philosophy in 1994 and a Doctor of Philosophy in 1995. Following a career as an educator, he was awarded the degree of Doctor of Divinity (honoris causa) by the Hebrew Union College-Jewish Institute of Religion. He began his training as a clinical chaplain in 2011, and after completing 7 units of CPE he received Board Certification as a Clinical Chaplain from the Association of Professional Chaplains and the National Association of VA Chaplains, and was the 5th chaplain to earn a Clinical Concentration in PTSD from the NAVAC in 2014. His publications include articles in the Oxford Dictionary of the Jewish Religion and the Journal of Pastoral Care and Counseling. He was commissioned as an Ensign (Chaplain Candidate Program Officer) in 1985, and entered active-duty service in June 1986 following ordination. After serving with Commander, Combat Logistics Group One for 3 years, he left active duty service to complete his studies. He continued his service as a drilling reservist until 1995, earning promotion to LCDR. His commission expired in 2002. After earning his credentials as a clinical chaplain at the Veterans Administration Hospital in Portland, OR, he applied for commissioning as a chaplain and was commissioned as a LT in August 2014. Following completion of training at Officer Development School in Newport, RI and Naval Chaplaincy School Basic Course at Fort Jackson in Columbia SC, he reported to Naval Air Facility Atsugi Japan for duty as a Staff Chaplain. He is currently on the Steering Committee for the Pastoral Counseling Community of Interest, and has earned a subspecialty code (1440-N) in Pastoral Counseling and an AQD as a Board Certified Chaplain. Rabbi Ballaban’s awards include the Navy Commendation Medal, Navy Achievement Medal, National Defense Service Ribbon (with bronze star), the Global War on Terrorism ribbon, and the Armed Forces Reserve Medal (10 years). Chaplain Ballaban and his wife, Lynda, have been married 10 years and together they have 7 children. His designation as “R12” denotes his chronological history as the 12th Rabbi to be assigned to the Naval Academy. Welcome Lynda and Rabbi Ballaban to our chapel family! Seen Our New Award-Winning Website Lately? Have you surfed our new website lately? 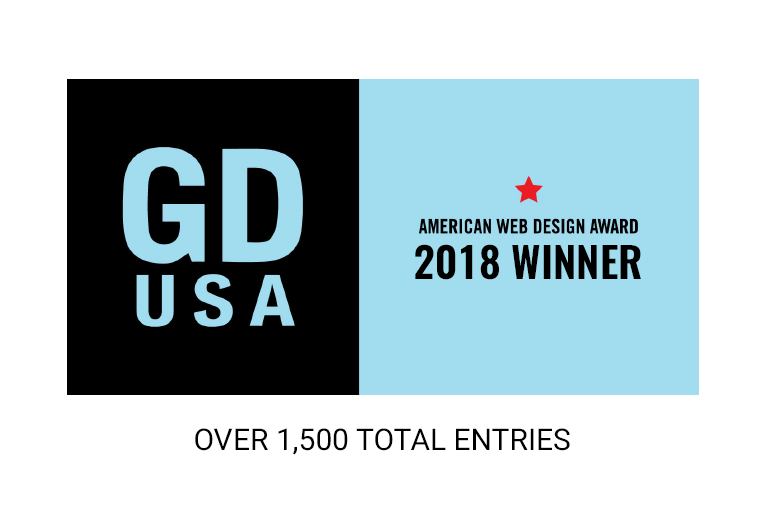 We have a new design and it … Continue reading "Seen Our New Award-Winning Website Lately?" I am often asked how many Jewish midshipmen are present at the Naval Academy. 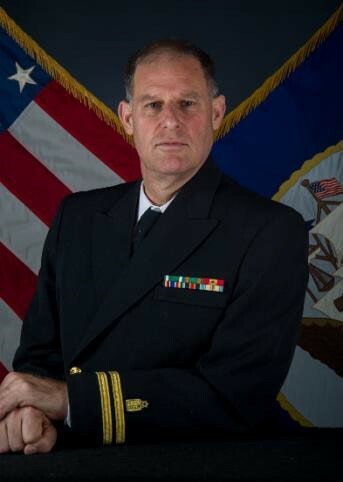 … Continue reading "A Note From Rabbi Steve Ballaban"
Congratulations to the USNA Class of 2018. 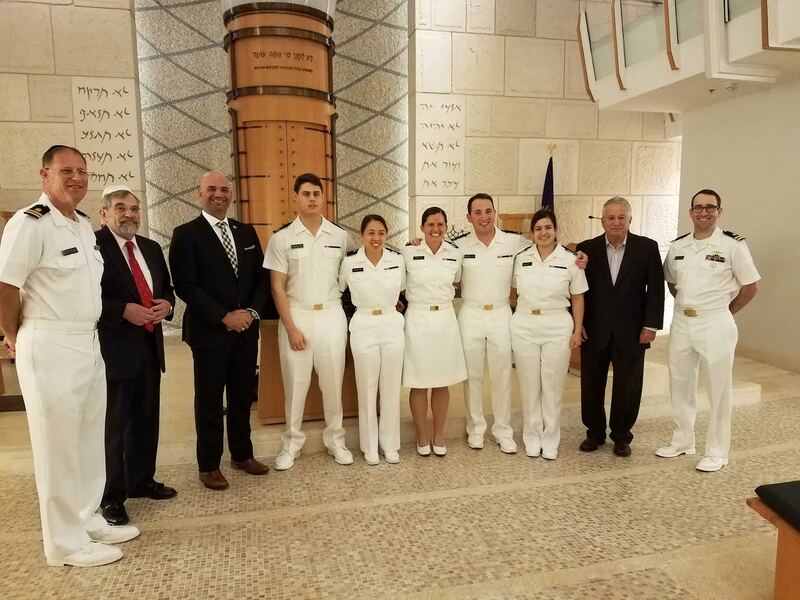 The Jewish Baccalaureate service was held on … Continue reading "USNA Class Of 2018"
MIDN 1/C Kayla Gansrow has had the semester of a lifetime. 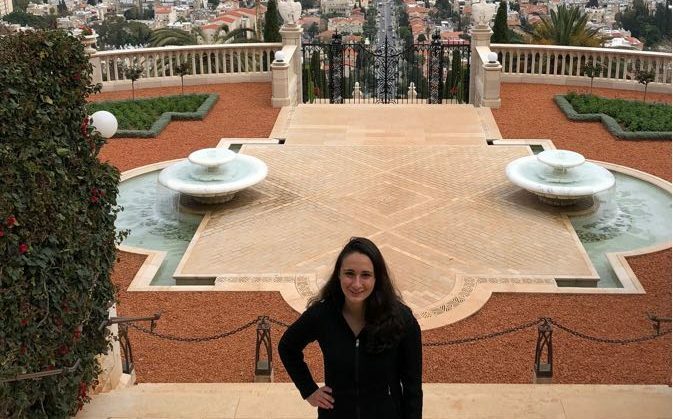 Her second semester … Continue reading "Semester Abroad"
Want to share the FOJC with a friend? Its simple!